This Sunday, Phillips is proudly presenting its highest-ever estimated Evening Auction of 20th Century & Contemporary Art and Design in Asia, estimated to achieve in excess of HKD 170 million. 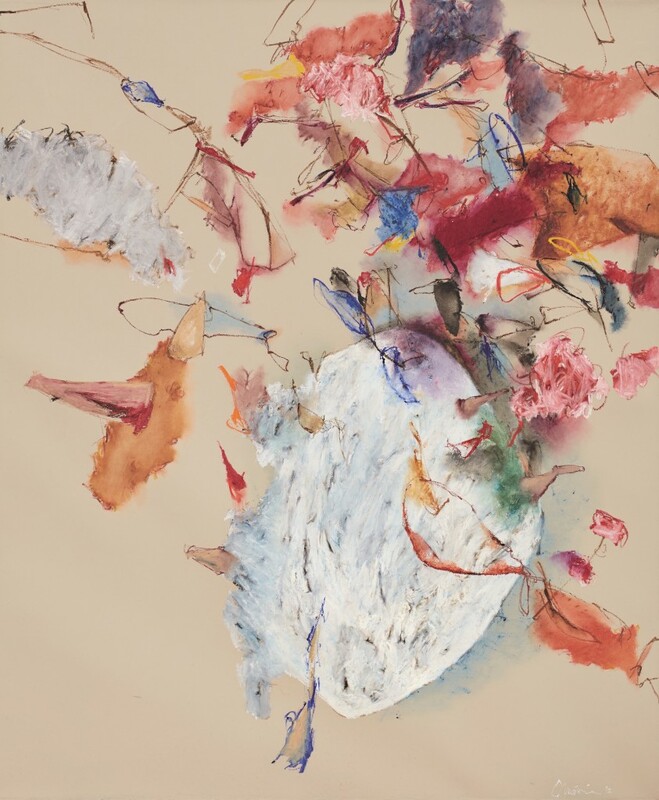 Both established and emerging international artists are included in this carefully curated sale, from Zao Wou-ki to Zhang Xiaogang, from Yayoi Kusama to George Condo. 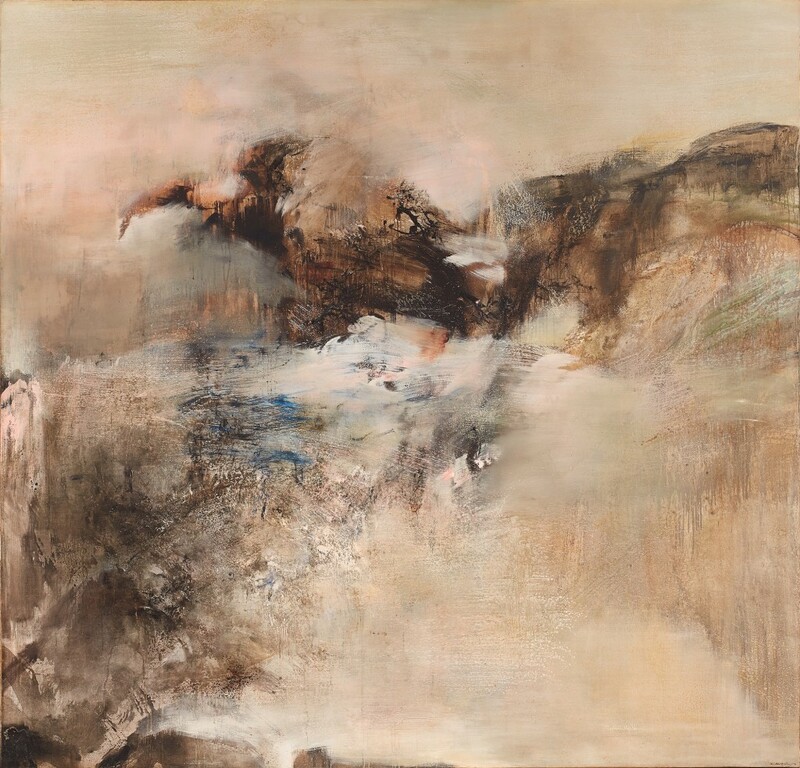 Particularly, the Zao Wou-ki work is expected to break a new record. Larry’s List highlights top lots from the upcoming auction on May 27. This one is definitely a leading highlight of this sale. This monumental work is the largest painting from the 1970s by Zao Wou-Ki and among the top 10 largest by the artist to ever come to auction. Zao Wou-Ki perfectly captures in ‘04.01.79’ the essence of traditional Chinese ink landscapes, complemented by the virtues of Western painting. 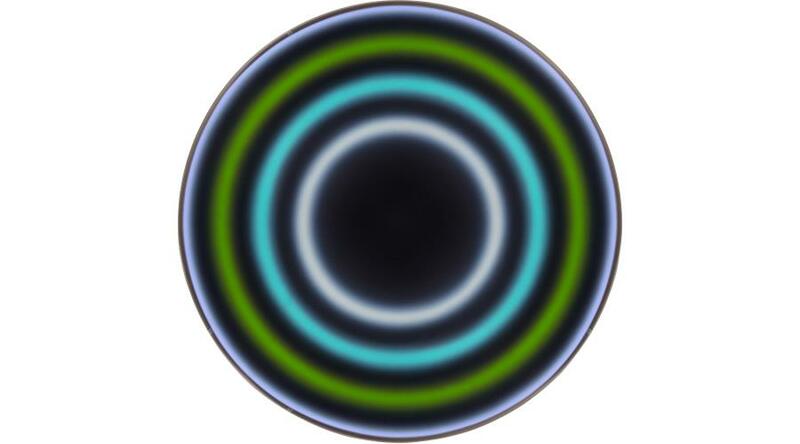 ‘04.01.79’ embodies the pivotal stylistic transition from the artist’s middle to late period of abstract works. This masterwork has never before been publicly offered and was on display in the lobby of Mandarin Oriental Hong Kong during the week of Art Basel Hong Kong. Waiting for a record! 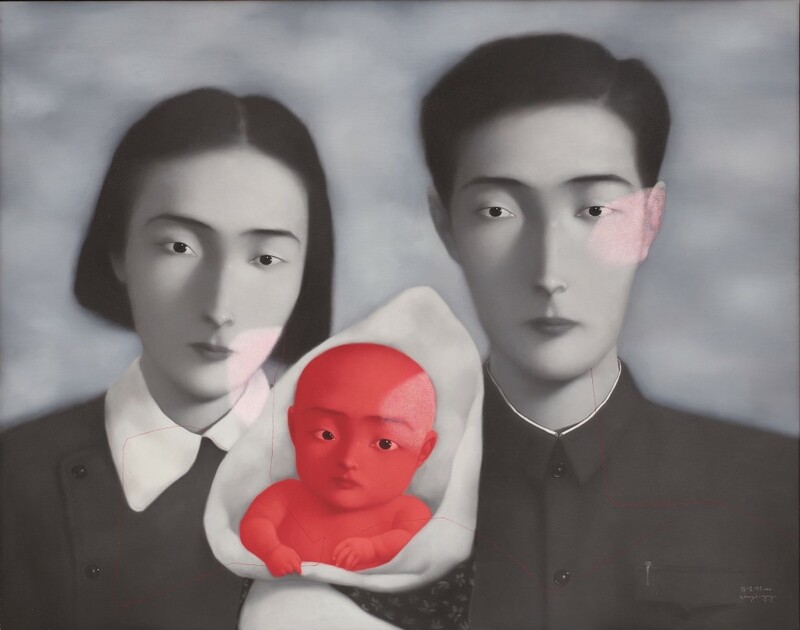 A pre-eminent contemporary Chinese artist, Zhang Xiaogang’s ‘Bloodline: Big Family No. 9’ is another star lot, which is from the artist’s most compelling body of works – the ‘Bloodline’ series. The iconic three-member family portrait, modelled after a photograph of the artist’s brother as an infant and his parents, acts as a mode for the artist to negotiate the conflicts of group versus individual identity in early 1990s China. The artist was invited to exhibit several paintings from this seminal body of works in the world’s most important venues including the 1994 São Paulo Biennial and the 1995 Venice Biennale. This historically crucial work is fresh to the market. Therefore, it presents itself as a unique opportunity to acquire a deeply representative and early piece from Zhang’s oeuvre. It is a classic early example from Liu Wei’s iconic painting series Purple Air. 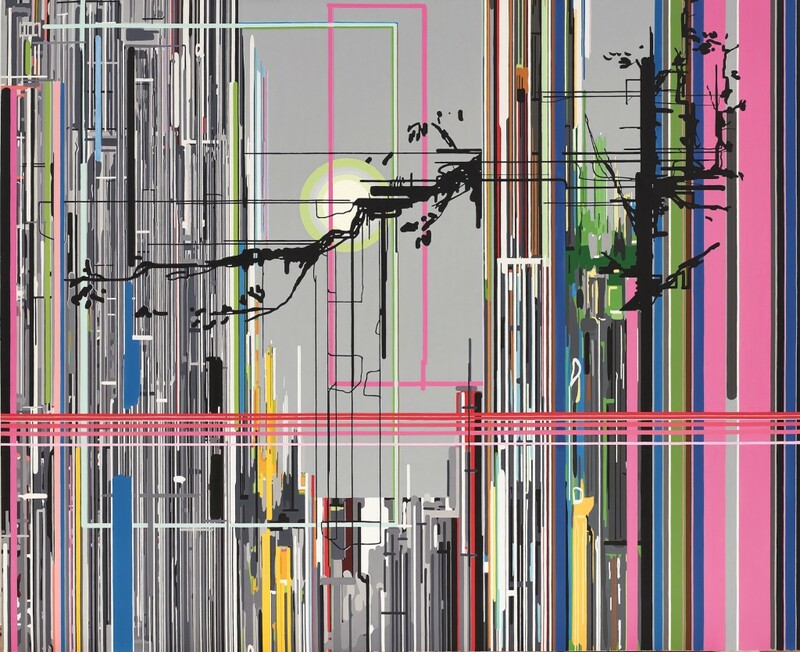 Like other works from the same series, ‘Purple Air D1’ is in fact digitally rendered on a computer, which is then painted onto a larger canvas. Seeking to transform and re-explore traditional Chinese landscape painting, the added elements of the moon and the pine tree infuse the work with an Eastern spirituality. The work is one of the few early examples that represents a milestone for the artist, where he not only underwent a change in artistic direction, but also in concept. Seemed to be largely black and white from a distance, yet this work dictates an immense variety of texture and an impressive range of colour on closer inspection. The composition recalls the energy of the paintings of Jean-Michel Basquiat and Keith Haring, Condo’s friends and fellow artists, whom he knew during his years in New York in the 1980s. Meanwhile, it pays tribute to Brassaï’s celebrated photographs of the street art incised in the walls of mid-twentieth-century Paris. 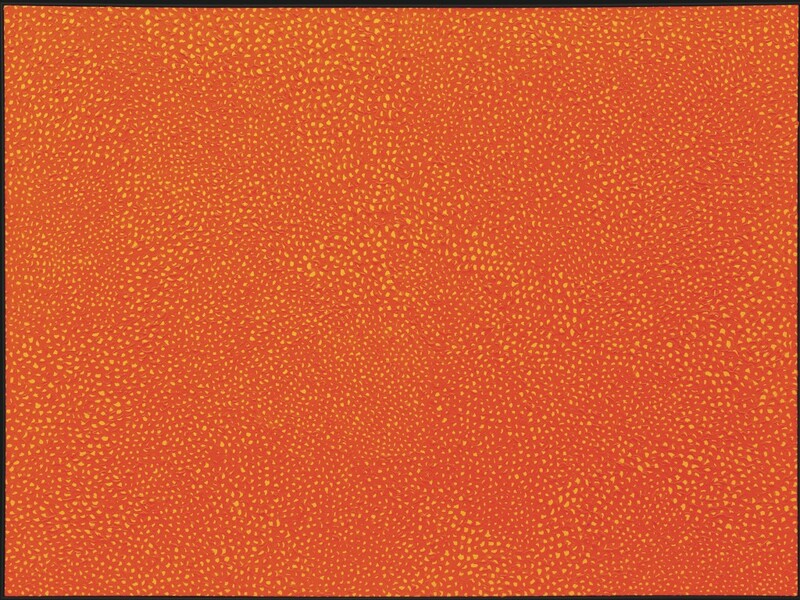 Painted almost 50 years after the inauguration of the ‘Infinity Nets’ series, ‘Infinity Nets (HOAWD)’ shows a pure mastery of the painterly idiom that secured Kusama’s unique and groundbreaking contribution to the history of abstract painting. Originating from a powerful challenge to the biased hegemony towards bravado brushwork in a male dominated art world in 1960s America, the Infinity Nets employ a unique conceptual approach. Recognized for her visually arresting and thought-provoking pieces, Christine Ay Tjoe is one of Southeast Asia’s most prominent contemporary artists. Known for her distinctly intricate visual language, Ay Tjoe’s beautifully introspective compositions are at once loud and contemplative. ‘…to See the White Land’ is a work exemplary of Ay Tjoe’s inspired visual lyricism, embodying some of the best qualities of Ay Tjoe’s masterworks. KAWS’ iconic character is in the spotlight now more than ever. Sculpted from a gorgeous dark brown African hardwood and weighing in at a half tonne, ‘FINAL DAYS’ is an exemplary work by the intrepid KAWS. The work represents one of the artist’s most convincing explorations into the inner-world of humanity. FINAL DAYS conveys feelings inherent to the human condition that are balanced with the artist’s sophisticated sense of humour and charming cartoon aesthetic. 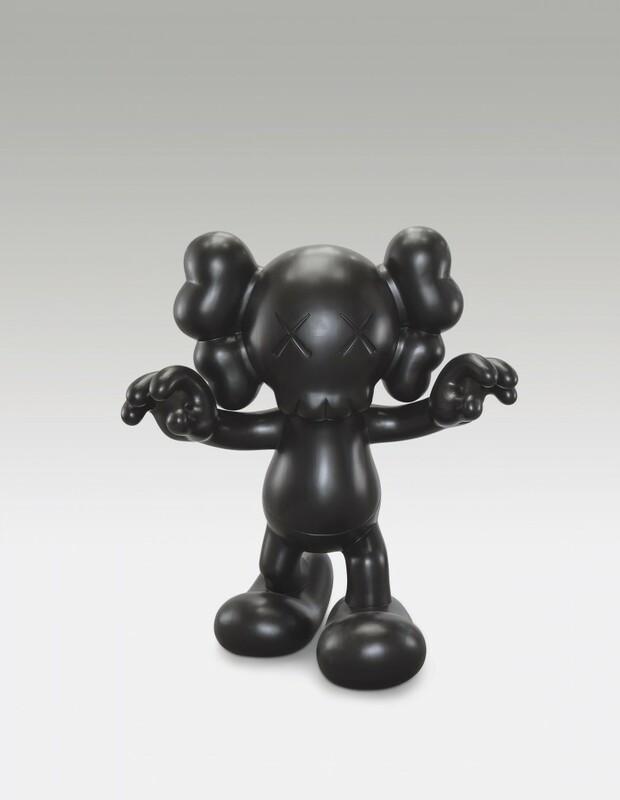 With a previous record for a work by KAWS set in a Phillips auction, all eyes are on this lot. Ugo Rondinone is known for his vast mixed-media production. 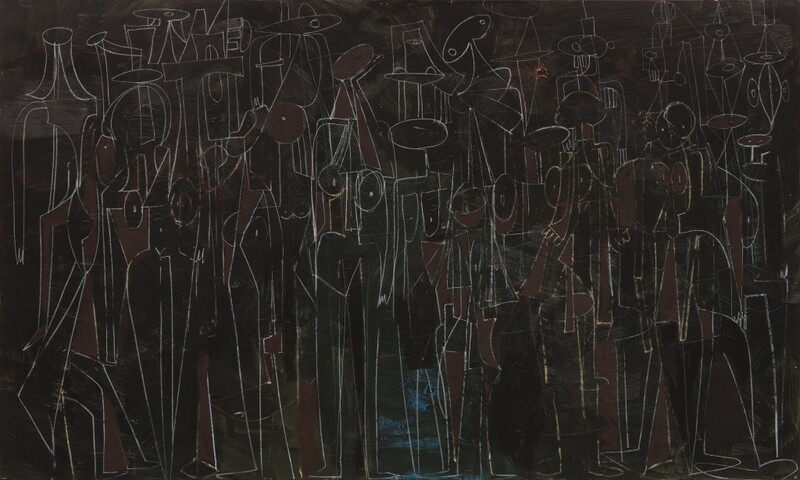 Among his multi-faceted production, which spans across various media including painting, sculpture, photography and video, the present lot is a mesmerising example from one of the artist’s most iconic Target Paintings series, which the artist has produced since the mid-nineties. There is a hypnotic and abstract atmosphere in ‘Mrz 2007’ that enthrals the viewer at first sight.